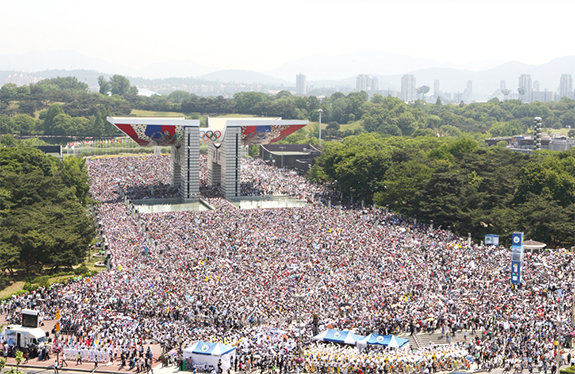 World youths and women take over Seoul Olympic Park Peace Plaza! Seoul, South Korea- On May 25th 2015, in over 50 cities in 30 countries worldwide, 200,000 youths, women, and individuals from all walks of life simultaneously participated in the ‘2nd Annual Commemoration of the Declaration of World Peace’ and ‘International Peace Youth Group Walk Festival’, initiated in Seoul, Republic of Korea. The festival aims to commemorate the proclamation of the Declaration of World Peace and invite all human to join the work of peace, calling all youths, women, political, religious, and secular leaders to come together to leave the legacy of peaceful world to future generations. 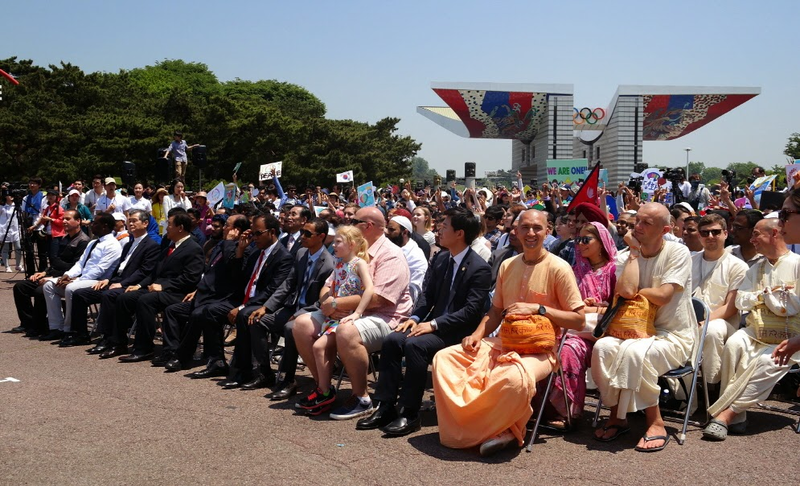 Hosted by Heavenly Culture, World Peace, Restoration of Light (“HWPL”) and co-organized by International Peace Youth Group (“IPYG”) and International Women’s Peace Group (“IWPG”), both HWPL’s affiliated organizations, the commemoration event and the walk festival were held not only in Seoul Olympic Park Peace Plaza, where the Declaration of World Peace was first presented on May 25th 2013, but also in major cities like Daejeon, Daegu, Busan, Gwangju, Jeonju, and Wonju. In overseas, just to mention a very few out of over 50 cities, the event took place in New York, San Francisco, and Berlin. The festival received much acclaim for extending its boundary of the practical peace activities by setting up a donation booth for Nepal Earthquake Relief and taking a time for moment of silence to honor and remember those lives lost in the recent disaster as well as wars throughout the history. The commemoration event kicked off with watching a video which demonstrates astonishing achievements of Chairman Man Hee Lee of HWPL and Chairwoman of IWPG in the past two years in their endeavor to accomplish what is stated in the declaration. The video also presented the highlights of the World Peace Tour that Mr. Lee and HWPL’s peace delegation have undertaken in the past 3 years, visiting over 70 countries. The achievement of the World Alliance of Religions’ Peace (WARP) Summit was also showcased in the video. 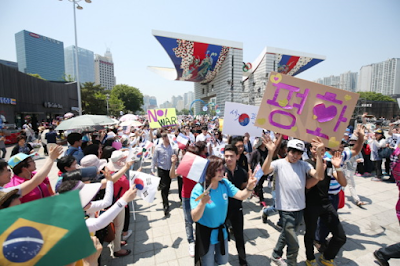 In addition, congratulatory speeches were delivered by high government officials and Ambassadors residing in Korea, followed by the congratulatory video of the heads of state, religious leaders, youth leaders, and international press who work with and support HWPL for the peace-building process. 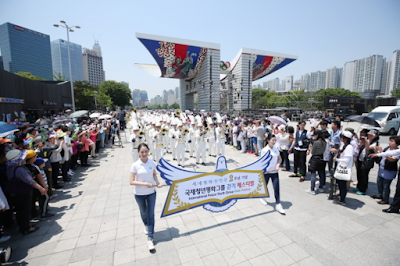 As for the last part of the program and the highlight of the commemoration, International Peace Youth Group Walk Festival was simultaneously launched around the world, gathering hearts of all participants yearning for world peace.